Start-ups, businessmen on the move, consultants and companies need office facilities on temporary basis. Startups can benefit from full-fledged office facilities because it helps them use their capital for better purposes. Traveling businessmen need an office as a base for their regional operations. Consultants may have temporary projects in hand in a city where an office comes in useful with its telecom and internet facilities besides serving as a common meeting ground for office and field staff. The office may be used for routine purposes and, if it is a full-fledged, full service facility, it may have meeting rooms and conference rooms. 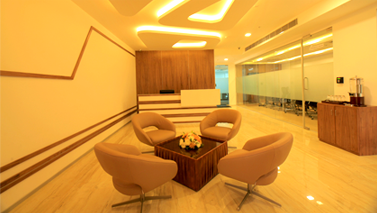 Centre A is one such full service company offering shared office space for rent in Kochi. Located in a first class commercial complex in the heart of Cochin, it offers C-world memberships for businessmen. The membership gives them co-working space in Kochi as well as access to business lounge and on-premises café plus internet, photocopy and conference room facility. 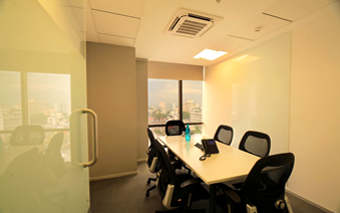 If and when required they can have access to meeting room for rent in Cochin and conduct private meetings or hold group discussions with associates. 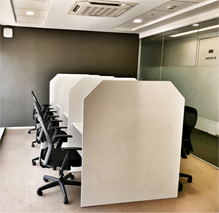 The basic package gets you a shared office space in Kochi with internet and telecom facility. Everything else is on a pay per use basis, which is quite convenient. A businessman may visit Cochin to hold a conference or meeting with local dealers in which case the meeting rooms for rent in Kochi comes in useful. The rooms are available on the premises and after the group meeting he may retire to his shared office space in Kochi to carry out routine tasks. With high speed internet access and computers on standby he can then conduct video conferencing Kochi based Centre A offers at highly affordable rates. The sum of it is that a businessman, consultant or startup need not invest huge amounts in office space or pay exorbitantly for conference facilities in some hotel. All he needs to do is go in for C-world membership with Centre A and become part of a business world where he has access to all required facilities. A gold membership costing Rs. 2500 gives him access to business lounge, café, office space, internet and photocopy facilities, which works out to about Rs. 500 per day, less than a hotel room’s rent. A Platinum membership costs twice as much and gives access for 10 days in a month whereas a diamond membership costing Rs. 7500 gives unlimited access to work pods and all the other facilities. The C-Pod access itself cost only Rs. 10000 per month but gives a full range of facilities offered in the shared office spare for rent in Kochi. The package includes access to business lounge, sky café, work desks, wi-fi, photocopy, mail and courier and of course, receptionist facilities. He is also entitled to 50% on meeting and conference room rentals. As value for money proposition, nothing comes close. He can call for help from the back end staff and with everything taken care of he can devote more time to doing business.